The construction industry has plenty of work available, but for some reason a shortage of skilled workers is causing delays in many projects. What gives? How can an industry that’s been a viable career option for so many for so long suddenly have trouble filling positions? Well, economists have a few theories on what’s going on. 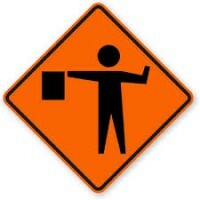 When the recession hit and the housing market soured, there wasn’t a lot of work for skilled laborers. Many of them then began looking for work in other industries. 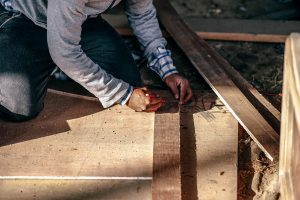 Now that the market has bounced back, those carpenters and electricians have switched to other fields and are no longer looking for the work they once did. And honestly, who can blame them? People have bills to pay, they can’t always wait for the work they always did to come back to them. Another reason there are over 146,000 open positions in construction currently is that young people aren’t eager to go into construction. Shop class isn’t the common high school class it once was, and parents are more likely now to encourage their kids to head to a four-year college instead of a trade school. Young adults simply aren’t entering vocational schools like they used, so as older skilled workers retire there aren’t as many recent grads to take their places. So what’s the solution to the labor shortage? Well, pay rates are going up, making construction a more lucrative career choice. Guidance counselors and parents should be aware of this, so they can suggest it to students who might benefit from attending trade school. College isn’t the best path for everyone, and it’s important to give young people the chance to choose a path that is right for them. At KB Staffing, we know the value of skilled laborers, and how important it is to have a team you can count on to get the job done. Our contract workers are reliable and ready to work. If you are a skilled laborer looking for blue-collar work, contact us when you need work. We are an expert staffing service ready to get you into a temp-to-hire job or full time temp job. Contact us today to get started!